Jeremy won first prize in the Irving M. Klein International String Competition and was also awarded the competition’s Allen R. and Susan E. Weiss Memorial Prize for Best Performance of the Commissioned Work! He will receive more than $13,000 in prizes, including performances with the Peninsula and Santa Cruz Symphonies, the Gualala Arts Chamber Music Series, the Music in the Vineyards festival, and other performance opportunities. Read more. Jeremy Tai appeared on Show 288, recorded in April 2014, at age 15. 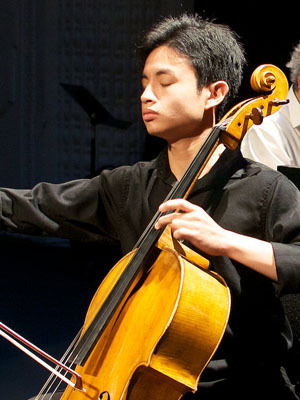 Jeremy Tai (cello), 15, is from Cupertino, California and attends Saint Francis High School. He studies with Jonathan Koh at the San Francisco Conservatory of Music Pre-College. 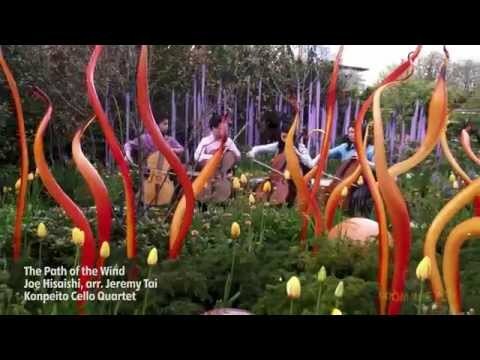 Jeremy attended the Meadowmount Summer School of Music in 2012 and 2013. In 2012 he was the national winner of the MTNA Junior String Division and a semifinalist in the Stulberg International String Competition. In addition to his musical pursuits, Jeremy is also an avid reader.